KEBAB GALI - 2.0 - CHOMP! SLURRP! BURP! For me Kebab Gali has epitomized delish Awadhi delicacies and brought the flavours so much closer to home – visited their Vasant Kunj outlet recently and was yet again swayed by the mouth-watering flavours and seductive aromas. The dining area here is smaller than the one at Malviya Nagar but the ambiance is similar – antiques all over the place, stained glass lamp shades and a waft of succulent dishes. We started off with a portion of Murgh Gilafi Kebab and the much heard of Dahi ke Kebab. The appetizers came in all decked up on wooden platters. 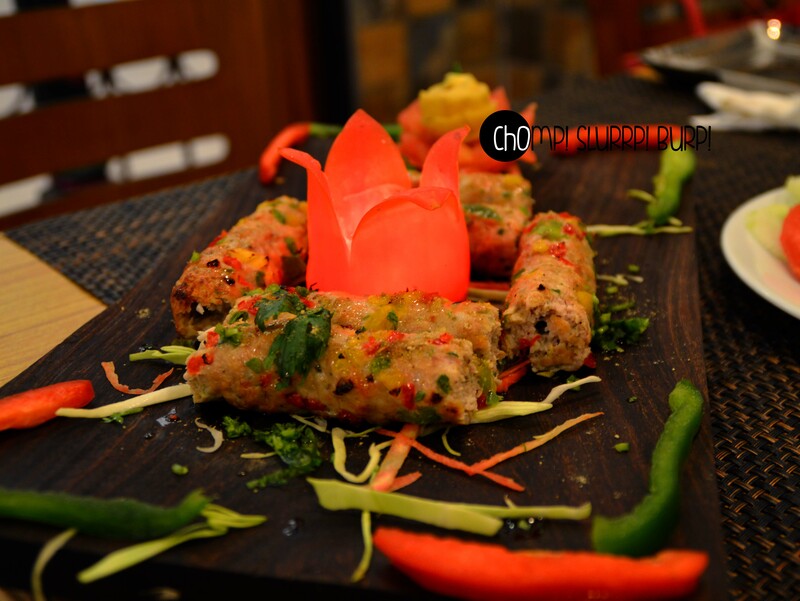 The chicken gilafi kebab came looking delightful with a candle in between – soft chicken seekh with julienne bell peppers – the soft texture of the seekh was very, very palatable. The dahi ke kebab were undoubtedly the most divine that I have had, like ever. E V E R. The crusty, toasted top and you bite into it and voila, a savory stuffing inside. Curd whipped to a beautiful consistency, a slight sweet tinge. I must admit, it was one of the very few instances where I liked the vegetarian kebabs better than the non-veg ones. For main-course we decided to have curries this time after gorging on their legendary biryani the last time! 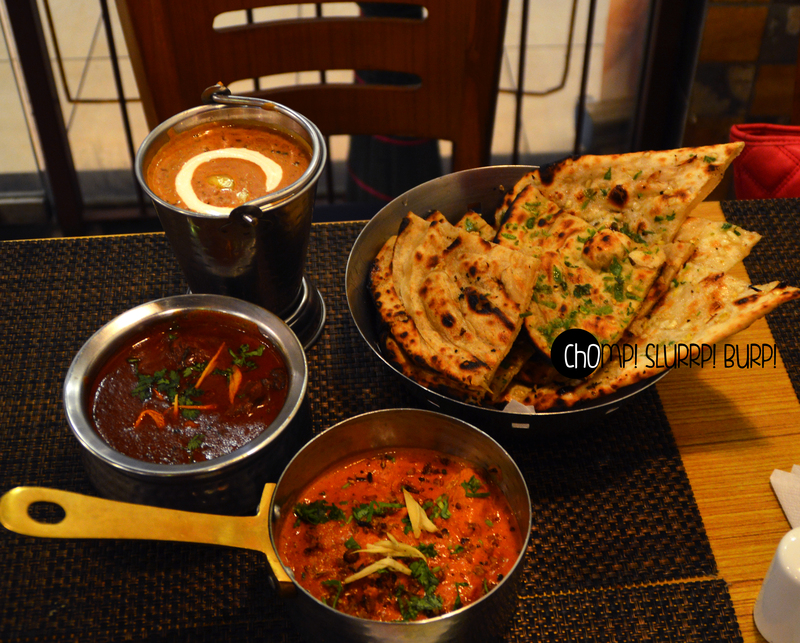 Classic dal makhni, Rajasthani laal maas, Lazeez murgh handi, tandoori roti, mirchi ka parantha and a butter naan. 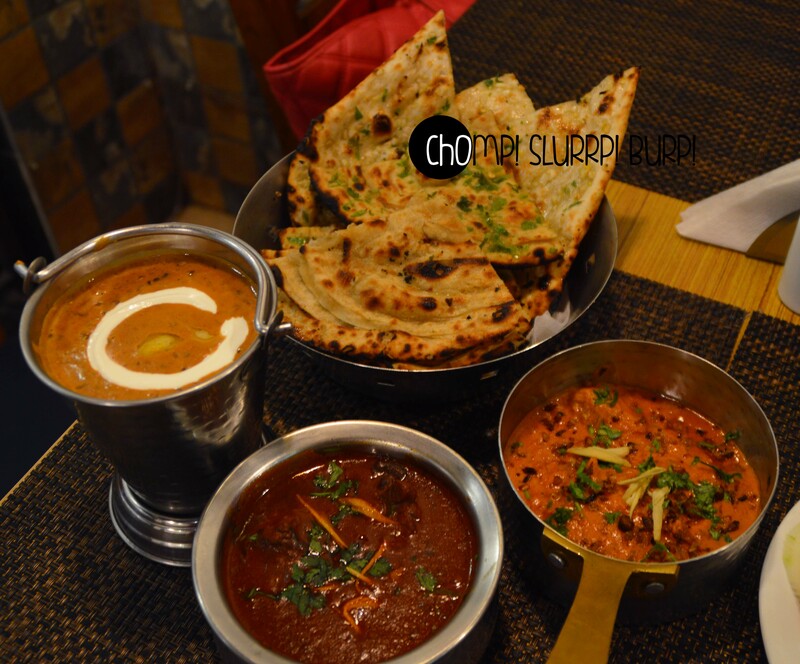 Starting with their dal makhni – it has been my favourite ever since I visited them 4 years back – creamy, buttery classic dal was simply delectable. Coming to the laal maas – tender mutton pieces cooked in a gravy basically made with red chillies – the gravy was quite hot but having eaten Laal Maas in Jaipur, this one was a tad bit low on the chilly content but it worked pretty well for me. 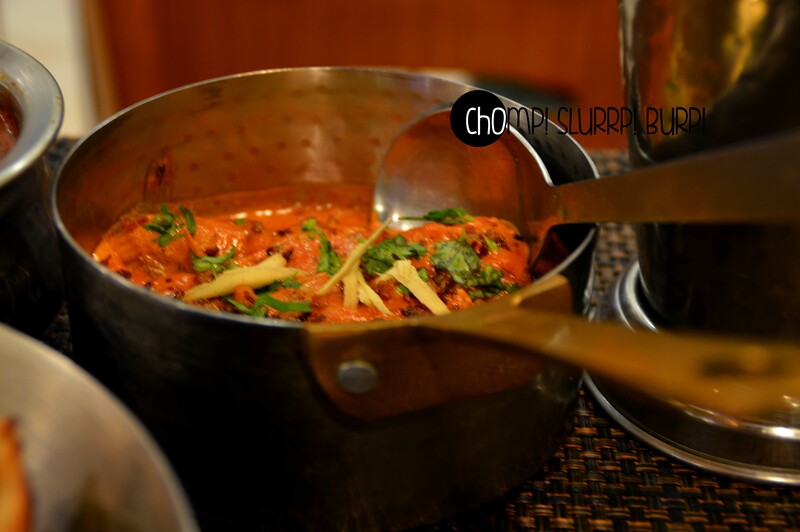 The lazeez murgh handi was ambrosial – topped with ginger and burnt garlic – the creamy gravy was out of this world. The best thing about this place is their meats literally melt in your mouth – a lot of places serve slightly hard, chewy meat options which is really a put off! Both the chicken and mutton pieces were succulent, juicy and very tender. 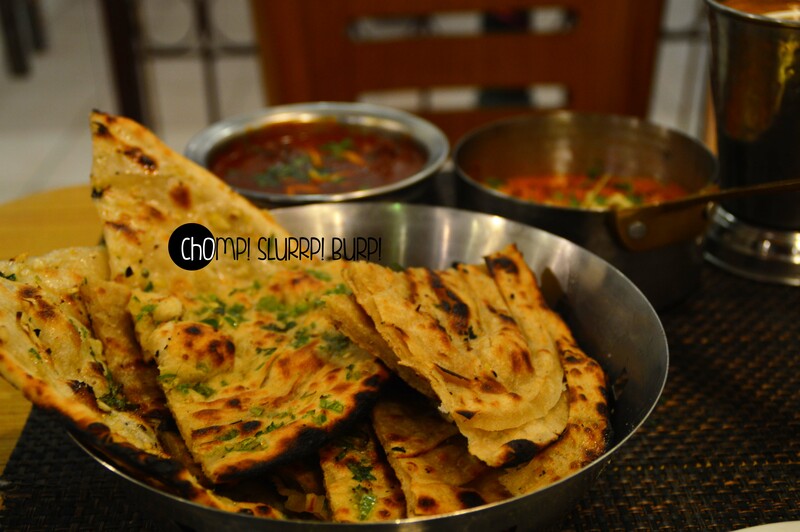 Talking about their bread basket – the mirchi ka parantha was very unique – much like what you get in Murthal. The garlic naan simply stole my heart, loaded with chopped garlic and loaded with butter. Ah, am drooling again! I wanted to try their Shahi tukda but by the time we were done by main-course, we were bursting with a hearty, sapid meal. I simply can’t wait to get my hands on their dahi ke kebab again! Find their Vasant Kunj outlet here. 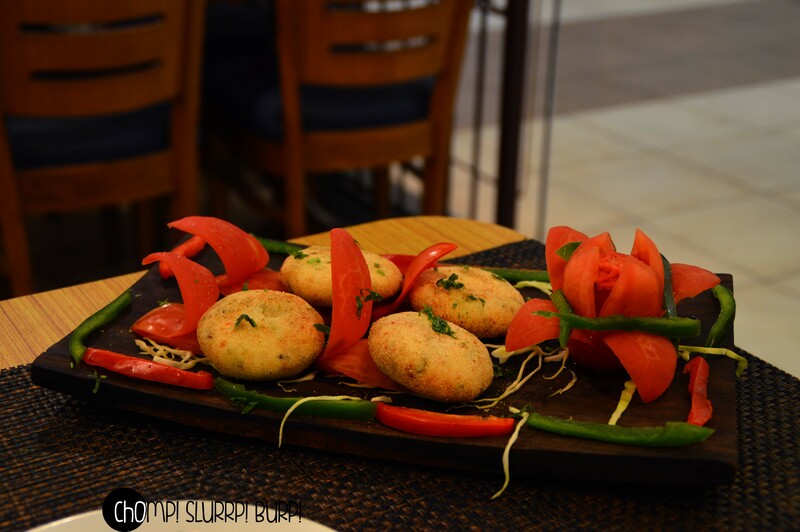 Street Favorites By Punjab Grill.